It’s time to think about ordering for Donut Day! We are offering donuts in Filled, Glazed, Sugared, Powdered Sugar and Cinnamon Sugar. 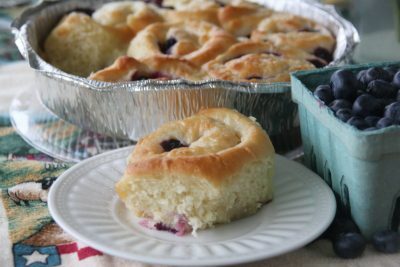 Back again – Lemon Blueberry Sweet Rolls. Try some today! 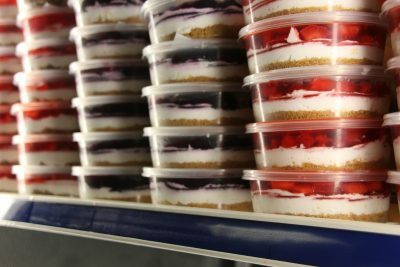 Available now in the Bakery Section of the cooler near the Deli. Fresh made cookies, from scratch – Chocolate Chip, Molasses, Peanut Blossoms, Sugar Cookies, Monster Cookies and more! Rhubarb is in season now! From the Bakery – Rhubarb Crunch. We also have Strawberry Rhubarb Pie and Rhubarb Bread. New Item today! Fresh Made Braided Garlic Bread in the Bakery. The aroma of fresh baked goods is great inside the store this rainy spring morning with – just pulled out of the oven – Cinnamon Rolls! Please Note! 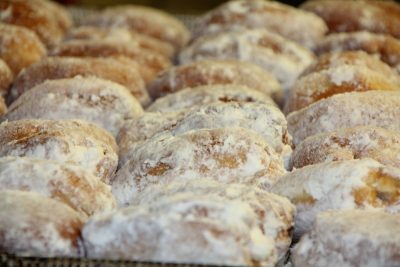 This weekend will be the last – for our regular Friday & Saturday fresh made Homemade Donuts, for the winter season. Donuts will still be made upon request for orders of 12 doz. or more.